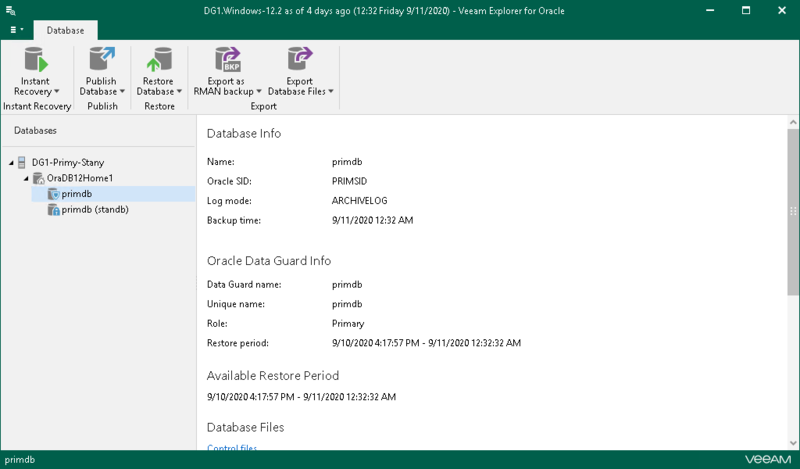 To view Oracle database information, select a database or Data Guard in the navigation pane and review its properties in the preview pane. The following figure demonstrates the standalone database information view. If the current restore point was created with Oracle Automatic Storage Management (ASM), file paths will be displayed with the ‘+’ prefix. The following figure demonstrates the Data Guard information view. 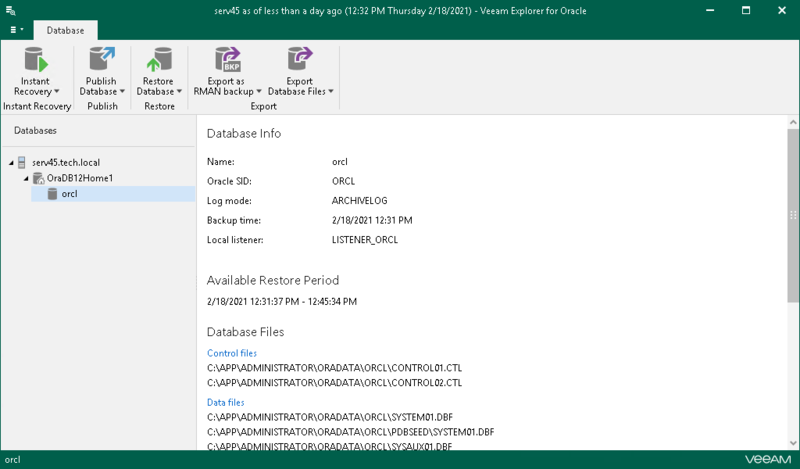 Both standalone Oracle databases and Oracle Data Guard might have different available restore periods or do not have them at all.